When the Vancouver Canucks traded for Keith Ballard, they hooked a blueliner with a wealth of talent and a winning attitude. On June 25, 2010, during the 2010 NHL Entry Draft, Ballard found himself on the move, traded to the Canucks along with Victor Oreskovich, in exchange for Michael Grabner, Steve Bernier, and Vancouver's first round pick, the 25th overall selection, which was used to select Quinton Howden. It should be an ideal fit for both Ballard and a Vancouver defensive corps that is undoubtedly one of the league's top groups. Hailing from tiny Baudette, Minnesota – dubbed the ‘Walleye Capital of the World' – Ballard, the 11th overall selection of the Buffalo Sabres in 2002, has always had big-time aspirations. But he remains as humble as the moment when he skated in his first NHL game during the 2005-06 NHL campaign. Nestled near the Canadian border, hockey has always been the sport of choice for the townspeople. For Ballard, hockey was always his top pick. But that didn't stop him from testing out other athletic endeavors over the years. “You would play one sport in fall, one in winter and one in spring,” said Ballard, who was a standout in baseball and football as well. It wasn't what sport you played, according to Ballard, but rather what you learned from each one. Experiencing all the great outdoors had to offer was also a big part of Ballard's young life. It did teach Ballard the fine art of patience. “You definitely learn that it's a big part of your life,” said the blueliner, who played a big part in the University of Minnesota's 2002 NCAA championship campaign, along with being named to the WCHA All-Rookie Team. In 2002-03, Ballard helped the Golden Gophers net their second straight NCAA championship, a season in which he was selected to WCHA First All-Star Team, the NCAA West Regional All-Tournament Team and the WCHA Final Five All-Tournament Team. Ballard appeared in all 45 games and was fourth in the nation in goals and assists among blueliners. He finished third on Minnesota in points and third in the WCHA in scoring by a defenceman. Named to the NCAA West First All-American Team in 2003-04, Ballard was one of the finalists for the Hobey Baker Memorial Award, U.S. college hockey's top player honour. He was also selected to the WCHA First All-Star Team for the second consecutive campaign and ranked fourth on Minnesota in points. One of the biggest accolades of Ballard's career came when he was named the recipient of the John Mariucci MVP award, as voted by his teammates. Ballard finished his distinguished career at Minnesota seventh on the school's all-time list for goals by a defenceman (33) and 11th in points by a defenseman (100). 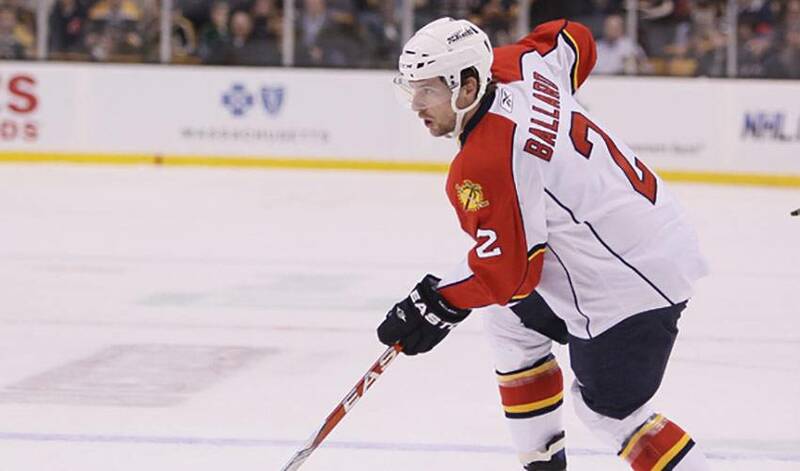 After playing with Utah of the American Hockey League in 2004-05, Ballard, who represented the United States at the 2004 World Championships, earning a bronze medal, started his rookie NHL campaign. And while Ballard showed great potential, his focus was on keeping pace with the top players in the game on a consistent basis. Now, nearly 400 regular season games into his career, Ballard hasn't looked out of place, as he embarks on a new chapter in his NHL life. If past history is an accurate barometer of what's in store for Ballard, the small-town defenceman could be ready to make a big-time impression as the Canucks push for their first Stanley Cup. After all, it's just what Ballard has done at every stop of his career.